Helen F. Boyd was an avid proponent of public health nursing and general child welfare. A long-time resident of Connecticut, Boyd authored a report entitled “Survey of Public Health Nursing in Connecticut” that outlined the amount and type of public health nursing available in the state. In the report, Boyd recommended expanding public health nursing in Connecticut, calling for more graduate nurses to provide care to Connecticut residents. She also emphasized the use of technology in education and advised the state to develop a traveling welfare exhibit to educate residents on the proper care of infants. But Boyd’s advocacy reached far beyond the borders of Connecticut. The battle to keep up the highest standard of public health must not be delayed for one moment. There must be women to go about teaching how to prevent the spread of tuberculosis, and also how to care for tuberculosis patients in their homes. Malnutrition of children from improper feeding is always a menace. It must be counteracted by the explanation to mothers of correct diets for infants and growing children. People who cannot afford hospital treatment and those who visit the free clinics must be cared for at home. This is the work of the public health nurse. Shortly after the war (in April of 1924) Boyd accepted a position with the University of Iowa as its Director of Public Health Nursing. 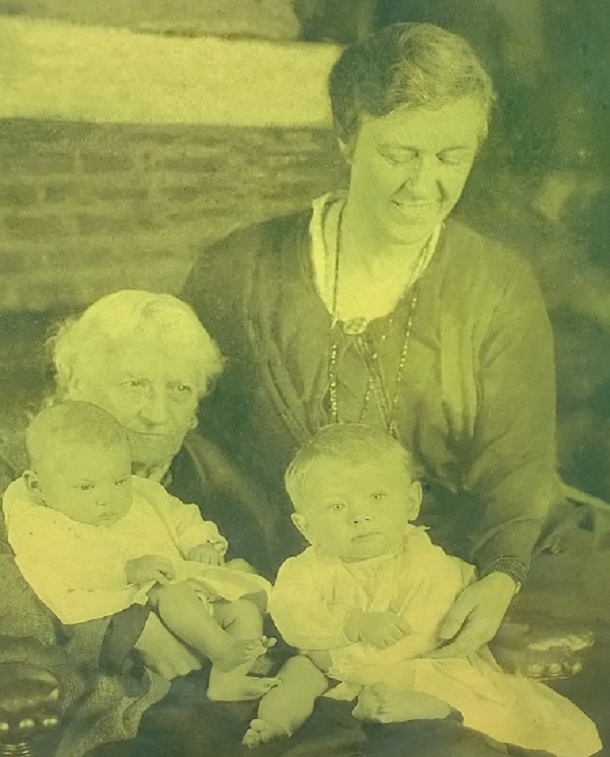 It was in Iowa City, in the midst of a thriving career, that Boyd did something very few single women of the early 20th century ever contemplated—she adopted two small children (a son Thomas, and a daughter, Eunice). After only one year, Helen left the University of Iowa and moved to Ossining, New York. There she adopted a boy, Joey, but sadly he died a year later of amebic dysentery. Still wanting to add to her family, Helen went to Columbia hospital in New York in search of a boy to adopt. What she found was a set of twins, James and Arthur, just 10 days old. She adopted them both and subsequently hired a nurse to help her balance the demands of her career and growing family. While living is Ossining, Boyd volunteered with the Girl Scouts and served on the Ossining branch of the Westchester County Children’s Association, helping distribute clothing material during the holiday season. Her daughter, Eunice Buxton, later recounted how her mother dressed her and her brothers in red felt hats topped with a small jingle bell to pull a sled of gifts through the neighborhood. This proved all the more remarkable given that just two years earlier Boyd lost her son James when he was hit by a car while Christmas shopping. In June of 1934, Helen married a man named Arthur P. Powers and the couple eventually settled in Berlin, Connecticut. It was there that Helen made the decision to give up her nursing career and focus on home and family. This did not keep Helen Powers from playing an active role in her community, however. In Berlin, the Powers had a huge garden in the backyard which Arthur tended daily. It allowed Helen to assist those left homeless by the Great Depression. Periodically the destitute stopped by her Worthington Ridge home and Helen offered them a hot meal in exchange for the completion of some household chores. Powers also attended the Hartford Chapter of the Radcliffe Club (which kept her connected with the academic community) and assisted the Berlin Visiting Nurses Association. Years later, her family recalled Powers as a tireless crusader who remained in constant motion throughout her life. She was a woman who gave so much to the nursing field because she believed so deeply in its mission. Patricia Smedley Buxton, Ed.D. is an adjunct professor at the University of Bridgeport in the School of Education, Hybrid Ed.D. Education Leadership Program. “Class of 1902, Radcliffe College, Cambridge, Massachusetts: Page 17 - Image of Helen Fuller Boyd.” Radcliffe College, 1902. Harvard University, Radcliffe Archives. Link. “Activities of the National Organization.” In The Public Health Nurse, 10:346. Cleveland, Ohio: The National Organization for Public Health Nursing, 1918. Link. Clarke, Ida Clyde. American Women and the World War. New York, London: D. Appleton and Company, 1918. Link. “Annual Report of National Organization.” In The Public Health Nurse, 11:601. Cleveland, OH: National Organization For Public Health Nursing, 1919. Link. Boyd, Helen Fuller. Survey of Public Health Nursing in Connecticut. Connecticut. 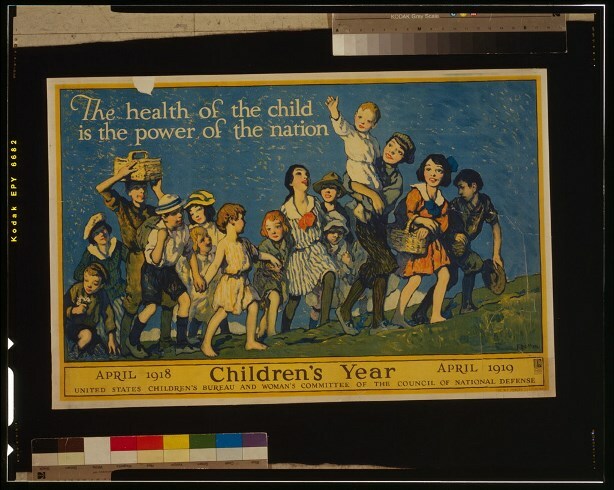 State Department of Health, 1918. Link. “Chance for ‘Practical’ Nurse in Public Health Service.” The Brooklyn Daily Eagle, June 26, 1918. Link. “Women Told of Nursing Work with Children; Ohio Speaker Addresses College Club - Pictures Used.” Schenectady Gazette, November 22, 1923. Link.